The cold winter air was blowing right through us. Now a rhyme, you may think, might be superfluous. But just grit your teeth, and we’ll get you right through this. This bleak winter outlook, can anyone quell? And stop playing blackjack at your favorite casino. And come to St. Charles to dine at Prasino. You can come in a t-shirt, or a sweater of wool. We know with you there, the night will not be dull. Thanks for making it through this poetry bull. If your gift is from Star Wars, it’s for Aaron Manfull. Your festive attendance will make our night. And remember a gift of an elephant that’s white. Please join us for our annual holiday celebration and white elephant gift exchange on Wednesday, Dec. 19 at 5:30 pm. 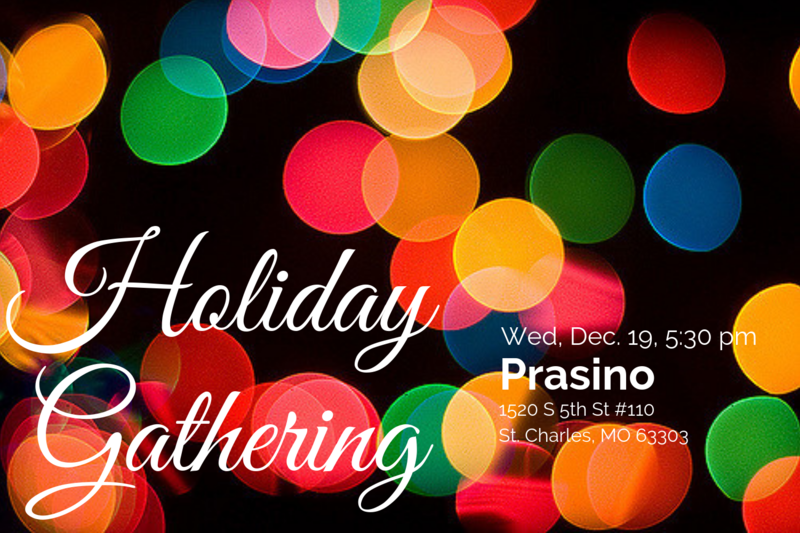 This year our party is at Prasino St. Charles. RSVP here.